Sections 3 and 4 of the CA and the enforcement powers of the CCI came into force on 20 May 2009. The CA became fully operational on 1 June 2011 with the coming into force of the provisions relating to the regulation of certain mergers, acquisitions and amalgamations. The CA seeks to prohibit anticompetitive agreements; prohibit abuse of dominance; and regulate inorganic restructurings of companies (referred to as ‘combinations’ under the CA) that lessen competition within a defined relevant market. Section 3 of the CA prohibits anticompetitive agreements. Section 3(3) of the CA deals with horizontal agreements (agreements between actual or potential direct competitors at the same level of a production or service chain), and Section 3(4) of the CA deals with vertical agreements (agreements between entities at different levels of a supply chain, such as dealership and loan agreements) causing or likely to cause ‘an appreciable adverse effect on competition’ (AAEC) within India. Section 4 of the CA prohibits an enterprise holding a dominant position from abusing that position. Sections 5 and 6 of the CA seek to regulate inorganic structures such as mergers, acquisitions or amalgamations that meet certain financial thresholds, so that such restructurings do not cause substantial distortions and lessening of competition in the defined relevant market. Under the Constitution of India, the government is mandated to adopt a social welfare model of governance. The CCI is a body formed under the Ministry of Corporate Affairs, and its stated focus has been on areas that affect consumers, including impoverished ones. In this endeavour, the CCI has conducted suo motu (or ‘own initiative’) investigations in such sectors that affect the ‘common man’ (sugar, agriculture, chemicals, domestic cooking gas, etc.). Further, the CCI has conducted investigations in important lifeline sectors of the economy (cement, steel, tyres, civil aviation, real estate, insurance, pharmaceuticals, etc.). The CCI has also particularly focused on public procurement: public procurement accounts for approximately 30 per cent of India’s GDP. Important government departments, such as defence, railway, power, telecom and aviation, utilise more than 50 per cent of their funds in public procurement. This, among other reasons, has driven the CCI to focus on several public procurement cases. Over the past year, the CCI’s focus has been on initiating enforcement actions, inter alia, against airlines, public insurance companies, pharmaceutical companies and telecom companies. The CCI has passed certain headline-grabbing enforcement orders finding cartelisation by public sector insurance companies and airline cargo operators, and an abuse of dominant position by Google in the markets of online general web search services and online search advertising services in India. The term ‘cartel’ has been defined under the CA6 as follows. ‘Cartel’ includes an association of producers, sellers, distributors, traders or service providers who, by agreement among themselves, limit, or control or attempt to control the production, distribution, sale or price of, or trade in, goods or the provision of services. A business agreement between independent enterprises or persons that causes or is likely to cause an AAEC within India is void. Therefore, business agreements between independent enterprises that cause an AAEC are void and, in the case of horizontal agreements, the CCI shall presume the existence of an AAEC. A party (respondent) alleged to be engaged in a cartel or a horizontal relationship must therefore satisfy the CCI that it conducted itself in a manner that would not result in an AAEC. The phrase ‘shall presume’ is regarded as a rebuttable presumption, especially because the CCI is mandated to abide by the principles of natural justice, which includes granting an opportunity of being heard to a suspected delinquent or defaulter before an order is passed against it. promoting technical, scientific and economic development by means of the production or distribution of goods or the provision of services. On perusal of the first three factors, it appears that the respondent would be running a potential risk if it comes within the ambit of any one of them. On the other hand, the remaining three factors appear to generate pro-competitive effects and may provide a safe harbour to a party alleged to be in breach of the prohibitory provision of the law. In the Auto Parts case,9 the CCI has held that whether an agreement restricts the competitive process is always an analysis of the balance between the positive and the negative factors listed under Section 19(a)-(f). A competition assessment framework based on economic effect becomes an essential ingredient for scrutinising and concluding a proceeding arising out of business agreements. The penalties10 in cases of a proven breach of horizontal agreements, including cartels or bid rigging, are substantial. Besides cease and desist orders, the CCI may impose a pecuniary penalty in non-cartel cases of up to 10 per cent of the average annual turnover for the last three preceding financial years upon each member that is a party to the anticompetitive agreement. In the case of proven cartels, bid rigging or collusive bidding, the penalty is up to three times the profits for each year of the continuance of such agreement, or 10 per cent of the average annual turnover for each year of the continuance of such cartel, whichever is higher. The CCI may also modify an agreement and impose costs. In the past, in certain orders, the CCI has used the terms ‘turnover’, ‘income’ and ‘revenue’ seemingly interchangeably, while the CA does not mention ‘income’, and this issue has been debated by parties before the erstwhile COMPAT. This issue of ‘relevant turnover’ was finally decided in a landmark judgment of 8 May 2017, wherein the Supreme Court upheld an erstwhile COMPAT decision, holding that the penalty for anticompetitive practices found to be in violation of the CA should be based on relevant turnover relating to a particular product and not on total turnover, particularly for multi-product companies.11 In addition, where the contravention is by companies, the CCI is empowered to penalise individuals who are responsible for the conduct of business of the company or whose negligence resulted in the infringing conduct.12 The CCI has applied the provisions under Section 48 to fix the liability of individuals and penalise them in a number of cases. However, a major criticism when invoking Section 48 has been that while the CCI has invoked Section 48 in certain cases, it has omitted to invoke Section 48 in other cases without any objective justification. In an order dated 7 March 2017,13 the Supreme Court made an important clarification that, in the case of an alleged violation of Section 3(3) of the CA, it is necessary to define the relevant market for the purposes of an inquiry into an impugned activity. The Supreme Court also held that the expression ‘enterprise’ may refer to any entity, regardless of its legal status or the way in which it is financed (i.e., whether profit-making or involving economic trading), and therefore it may include natural persons and legal persons. In cases of non-compliance14 with orders passed by the CCI, where no appeal has been referred before the NCLAT within the statutory period prescribed under the CA, and where a CCI order has not been stayed by the NCLAT, further penalties over and above the principal penalties may be imposed. In some circumstances where there is repeated non-compliance with a CCI order, the Chief Metropolitan Magistrate of Delhi, upon an application filed by the CCI before it, may order imprisonment against a defaulter for a term of up to three years or a fine of up to 250 million rupees, or both. Anticompetitive practices, including cartels outside India but still affecting India, are also within the CCI’s jurisdiction under the CA by the application of the ‘effects doctrine’.15 The CA enables the CCI to enter into international cooperation arrangements or memoranda of understanding (MOUs) with the prior approval of the central government with overseas competition agencies,16 so that each authority may share experiences in their respective jurisdictions and raise the enforcement bar across the globe for the benefit of consumers. To date, the CCI has entered into MOUs with the Russian Anti-Monopoly Authority, the United States Department of Justice and Federal Trade Commission, the Australian Competition and Consumer Commission, the European Commission, CADE (the Brazilian Antitrust Authority), the National Development and Reform Commission (Chinese regulator) and the Canadian Competition Bureau. Although these are first-generation MOUs, it seems clear from these international cooperation arrangements that in the future, the CCI will enforce cross-border anticompetitive practices that may adversely affect Indian markets. The statutory safe harbour available to a member of a cartel is the leniency programme.17 A party willing to avail itself of this benefit will have to make an application under Section 46 of the CA and the Competition Commission of India (Lesser Penalty) Regulations 2009 (Lesser Penalty Regulations). However, certain amendments to the Lesser Penalty Regulations were notified on 22 August 2017 (Amended Lesser Penalty Regulations), which bring clarity to the existing leniency regime in India and provide incentives for companies and individuals to proactively assist in cartel enforcement. Prior to submission of the investigation report by the Office of the Director General (DG) to the CCI, any member of a cartel may file an application to the CCI under the Lesser Penalty Regulations. The basic condition for the success of a leniency application is that the party claiming such relief must be a party to the cartel or bid-rigging or collusive-bidding activity, and must provide true and vital information regarding the cartel in question to the CCI. It should continue to fully cooperate with the CCI until the conclusion of the proceedings. The CCI may grant a fine reduction to the first applicant of up to 100 per cent, up to 50 per cent to the second applicant and up to 30 per cent to the third applicant.18 The word ‘may’ in the Lesser Penalty Regulations used to raise an ambiguity in the minds of prospective applicants, but the Amended Lesser Penalty Regulations now clarify that there is no limitation on the number of leniency applicants, thus incentivising a larger number of cartel participants to come forward and disclose a cartel. The Amended Lesser Penalty Regulations are a welcome addition to the leniency regime in India, and leniency applicants (after the third applicant) will be eligible for a reduced penalty of up to 30 per cent once the requirement to provide ‘significant added value’ to the investigation being carried out by the CCI and office of the DG is fulfilled. Apart from the above, the Amended Lesser Penalty Regulations bring in some other important changes, such as the possibility for a reduction in penalty of up to 100 per cent to more than one applicant; a requirement to specify the names of the individuals who have been involved in the cartel in the leniency application itself; and the specification of clear timelines for the leniency applicants. The past year also saw the CCI passing its first order in a leniency proceeding wherein the proceedings were initiated suo moto by the CCI on the basis of information received from the Central Bureau of Investigation (CBI) on 1 April 2014 regarding cartelisation with respect to tenders floated by Indian Railways and Bharat Earth Movers Limited (BEML) for the supply of electrical items (see below). This is the first instance where the CCI granted a reduction of penalty to an applicant under Section 46 of the CA and the Lesser Penalty Regulations. Despite the existence of the leniency regime in India since 2009, there has been no other order regarding the reduction of penalties under the Lesser Penalty Regulations. This has not deterred applicants from claiming leniency under the Lesser Penalty Regulations over the years, and this development has been eagerly awaited. The decision underlines the criteria that the CCI uses to determine a reduction in penalties in line with Regulation 3(4) of the Lesser Penalty Regulations, such as the stage at which the disclosure was made, the quality of evidence already in its possession and the quality of evidence provided by the applicant. The CCI’s decision lays down a key precedent with respect to leniency in India. To assess the success of this safe harbour, the grant of leniency by the CCI to the sole applicant in this case was a measured and objective 75 per cent reduction in penalty. Apart from cartel proceedings, a leniency applicant is still at risk of paying compensation, including class action damages in a follow-on action once a matter finally closes. Publicly available information indicates that the CCI is investigating numerous leniency applications. However, final outcomes in these are awaited. The CCI has instituted inquiries against several companies allegedly involved in cartel conduct. A number of such cases were pending under the now-repealed Monopolies and Restrictive Trade Practices Act 1969 (MRTP Act), which have been transferred from the previous authority (MRTP Commission) to the CCI. Several fresh matters have also been registered by the CCI under the CA. The variety of cases challenge the business conduct of respondents operating in the insurance, cement, glass, sugar, airlines, tyres and public sectors. Cases that were transferred to the CCI were registered by the previous MRTP Commission under the repealed law, but the CCI is mandated to investigate them under the new law. Some of the inconclusive cases of the previous regime had been directly transferred to the erstwhile COMPAT under a separate provision of the CA,19 which now are being heard by the NCLAT. Thus, the erstwhile COMPAT was, and the NCLAT now is, the court of first instance in some transferred cases, and would be the appellate tribunal in some other transferred cases of the previous regime. One of the major decisions of the CCI in the last year was In Re: Cartelization, in which the CCI imposed penalties on M/s Pyramid Electronics, Parwanoo (OP 1), M/s R Kanwar Electricals, Noida (OP 2) and M/s Western Electric and Trading Company, Delhi (OP 3) (collectively, OPs) and their respective responsible office bearers for contravention of Section 3(3) of the CA. As mentioned above, this is the first instance where the CCI granted a reduction of a penalty to an applicant under Section 46 of the CA and the Lesser Penalty Regulations.20 The CCI had initiated a suo moto inquiry (and directed the DG to investigate the matter) on the basis of information received from the CBI on 1 April 2014 regarding cartelisation with respect to tenders floated by the Indian Railways and BEML for the supply of brushless DC fans (BLDC fans) and other electrical items. After considering the investigation report and the supplementary report prepared by the DG and the submissions of the OPs, the CCI finally concluded that the OPs had shared the market by way of allocation of tenders of Indian Railways for BLDC fans among themselves under an agreement or arrangement, and had indulged in bid-rigging and collusive bidding contravening the provisions of Section 3(1) read with Section 3(3)(c) and 3(3)(d) of the CA. The CCI imposed a penalty on OP 1 and OP 3 calculated at one times their profit respectively in the year from 2012 to 2013, and on OP 2 at a rate of 3 per cent of its turnover for the year from 2012 to 2013. The CCI also imposed penalties on the identified individuals calculated at a rate of 10 per cent of the average of their income for the three preceding financial years. Interestingly, for the first time, the CCI granted a reduction of penalty to an enterprise based on its application under Section 46 and the Lesser Penalty Regulation, and also granted a reduction of 75 per cent of penalty to OP 1 as well as to Mr Sandeep Goyal, who was the officer responsible at OP 1 for its participation in the cartel. On 14 June 2017, the CCI also decisively addressed the issue of resale price maintenance (RPM) under the CA. The CCI found that Hyundai Motor India Limited (Hyundai) enforced RPM on its dealers and levied a penalty of 0.3 per cent of its relevant turnover (i.e., 870 million rupees). The decision of the CCI also provides certain clues regarding its treatment of ‘hub-and-spoke’ arrangements (i.e., collusive conduct between entities at different levels of production). As per Section 3(4) of the CA, ‘resale price maintenance’ refers to a vertical agreement to sell goods on the condition that the prices to be charged on resale by the purchaser shall be the prices stipulated by the seller unless it is clearly stated that prices lower than those prices may be charged. Certain dealers alleged that Hyundai had violated Section 3(4) of the CA because the dealership agreement required dealers to seek consent prior to taking up dealerships with a competing brand, and to procure spare parts either directly from Hyundai or through its pre-approved vendors, and this amounted to an ‘exclusive supply agreement’ and ‘refusal to deal’. The enforcement of the discount control mechanism (DCM) under the dealership agreement by Hyundai resulted in RPM. Further, it was alleged that Hyundai perpetuates ‘hub-and-spoke’ arrangements, wherein bilateral vertical agreements between Hyundai and its dealers, and horizontal agreements between dealers through Hyundai, resulted in price collusion. It was alleged that Hyundai forces its customers to purchase passenger cars tied with compressed natural gas (CNG) kits, lubricants and oils, and insurance services from specified vendors. Hyundai also has control over the sources of supply for the dealers’ products and ties the purchase of desired cars to the sale of high-priced and unwanted cars to its dealers in violation of Section 3(4) of the CA. v. Apple and Ors 22 to state that purchasers of Hyundai cars were not ‘forced’ to purchase CNG kits, lubricants and oils, and insurance services from specified vendors. On the question of RPM, the CCI most notably observed that Hyundai’s DCM prescribed the maximum discount that a dealer could offer to its end consumers. This was enforced by employing ‘mystery shopping agencies’, which would monitor the activities of dealers and would report to Hyundai. Penalties were then imposed on those dealers that deviated from the DCM. According to the CCI, this practice did not ultimately benefit consumers, who ended up paying a higher price for the cars that they purchased. The arrangement also did not improve technology or the distribution of goods and services, and would have hindered entrants from effective price competition. More significantly, and perhaps for the first time, the CCI emphasised the link between intra-brand price competition and its subsequent impact on inter-brand price competition, which is particularly significant from a pricing perspective, and therefore affects the ultimate customer. The CCI also made an interesting observation regarding hub-and-spoke arrangements, stating that ‘RPM, when enforced at the instance of the distributors/dealers, is particularly problematic since it helps maintain collective interest of the downstream players, i.e. the distributors, to maintain higher resale prices, causing consumer harm…’. On 7 March 2017, the Supreme Court decided the appeals preferred by the CCI against the Co-ordination Committee of Artists and Technicians of WB Film and Television and Ors, in which the width and scope of jurisdiction of the CCI under Section 3 of the CA was questioned. The informant in the case alleged collusion among the associations that had led to foreclosure, resulting in a denial of telecasting a certain television series. The majority order of the CCI had agreed with the findings of the DG, and held that the collusion of the associations had led to the television channels not broadcasting the television series, and as a result violated Section 3(3)(b) of the CA. The CCI majority also held that such associations did not fit into the definition of an enterprise, and accordingly could not be subjected to claims of abuse of dominance. However, they were subject to the provisions of Section 3 of the CA, since this applies to associations of enterprises. In a dissenting note, one CCI member disagreed with the majority, and stated that the DG did not rightly identify the relevant market, as it should have been restricted to the ‘broadcast of dubbed television series in West Bengal’ and not ‘the film and television industry of West Bengal’. He also opined that the association members were not representing the interests of broadcasters of television series, and that they acted only in the interests of the distribution of films, and in the absence of any nexus there was no question of any violation of Section 3 of the CA. He also described the actions of such associations as being akin to those of a trade union, but that this could not be treated as amounting to any economic pressure, and thus fell outside the scope of the CA. He further upheld the rights of such associations to engage in, inter alia, sit-in protests and strikes as fundamental rights. Since the activities of the association were not a part of the same ‘relevant market’, there was no question of any anticompetitive activities of the associations. The Coordination Committee appealed to the erstwhile COMPAT against the majority order of the CCI. COMPAT affirmed the opinion of the dissenting member and disagreed with the findings of the majority, and allowed the appeal. The Supreme Court concluded that there were two fundamental aspects that required determination: what was the relevant market for the purposes of the inquiry into the impugned activity of the Coordination Committee, and whether the action and conduct of the Coordination Committee is covered by the provisions of Section 3 of the CA. The Supreme Court held that it is necessary to define the relevant market for the purposes of an inquiry into the impugned activity. The expression ‘enterprise’ may refer to any entity, regardless of its legal status or the way in which it was financed and, therefore, it may include natural as well as legal persons. The Supreme Court held that what is important is that such an ‘agreement’, referred to in Section 3 of the CA, had to relate to an economic activity that was central to the concept of competition law. Economic activity, as was generally understood, refers to any activity consisting of offering products in a market regardless of whether the activities are intended to earn a profit. The Supreme Court held that any entity, regardless of its form, constitutes an ‘enterprise’ within the meaning of Section 3 of the CA when it engages in an economic activity. An economic activity includes any activity, whether profit-making or not, that involves economic trade. On 8 May 2017, the Supreme Court decided appeals preferred by Excel Crop Care Limited and others, affirming the concept of ‘relevant turnover’ while imposing a penalty under Section 27 of the CA. The CCI had imposed penalties on Excel Crop Care Limited, United Phosphorus Limited and Sandhya Organic Chemicals (P) Limited (appellants) at a rate of 9 per cent of the total turnover of the companies of the past three years (i.e., 3.1791 billion rupees), which were found to have indulged in bid rigging while participating in the tenders issued by the Food Corporation of India (FCI) for the supply of aluminium phosphide tablets. In the first appeal, the erstwhile COMPAT rejected the appellants’ case on merits. However, COMPAT found that the penalties imposed by the CCI were unreasonable, and revised them to 9 per cent of the average ‘relevant’ turnover (i.e., the turnover in respect of the quantum of supplies made with respect to the affected product to which the cartel related). The appellants were then required to pay penalties of 100.2 million rupees. The CCI imposed a penalty of 120 million rupees for bid rigging on 10 coal and sand operators.24 The parties were found to be in contravention of the CA for bid rigging in a tender floated by Western Coalfields Limited, which is a subsidiary of Coal India Limited. The CCI considered various mitigating factors, such as compliance measures put in place alongside photographs of competition law training programmes organised for employees, but held that these were undertaken after the proceedings were initiated. The CCI imposed a penalty at a rate of 4 per cent of its average relevant turnover for the last three financial years. The CCI also imposed a penalty on those individuals found liable under Section 48 of the CA at a rate of 4 per cent of their average income during the last three financial years reported to the CCI. At the appellate stage, other than the development of the erstwhile COMPAT merging with the NCLAT, there have been no landmark developments. The CCI has made it clear that public sector companies would equally be liable for violations of the CA. This is a welcome step towards competition neutrality, which will enhance the CCI’s reputation within international competition circles. One disconcerting trend has been the CCI’s interpretation of the CA regarding the following: that an agreement that is neither a horizontal nor a vertical anticompetitive agreement would still violate the CA if it causes AAEC. Under the scheme of the CA, anticompetitive agreements have been either defined as horizontal or vertical anticompetitive agreements. 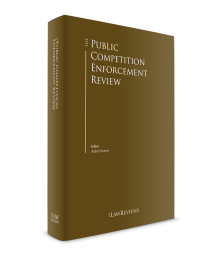 This interpretation of the law may result in agreements that otherwise have no relevance from a competition law perspective to attract the provisions of the CA. An important development in the past year was a judgment of the Supreme Court which has clarified that a penalty must be based on the concept of ‘relevant’ turnover as enunciated by the erstwhile COMPAT in several cases in the past. The CCI has now started to identify the relevant business segment of a company that has been found in breach of the CA and to impose a penalty accordingly. Even though the CCI faces procedural and due process challenges in its cartel enforcement activities, CCI decisions have been upheld on numerous occasions when cases have been decided on merits at the appellate stage. In absence of direct evidence, the CCI is willing to rely on indirect evidence or indicia, supported by economic analysis, to establish cartel violations. The erstwhile COMPAT has also agreed with such an approach in a number of cases. Therefore, the companies must align their conduct in order to be compliant with the CA. Domestic companies, as well as foreign companies operating in India, must position themselves appropriately according to the different circumstances to avoid being caught unprepared. While some companies have introduced internal compliance manuals to avert any surprise dawn raids or investigations by the CCI, several companies continue to remain relatively unaware of the expansive powers of the CCI in the event of a contravention of the CA. In-house compliance guidelines need to be specifically tailored for each company and its particular industry. Given the state of vigorous competition enforcement in India, such development of customised compliance toolkits, or at least full awareness of the scope of the CA, should be an integral part of doing business in India. The legal, financial and marketing departments of enterprises should work together and provide appropriate guidelines for driving their businesses forward in a manner compliant with the provisions of the CA. The resistance offered by industry against the enforcement of the CA is a thing of the past. Companies doing business in India should take serious notice of the CA, as a breach may cause substantial damage to their reputation. The primary challenge before the CCI is to meet the procedural or due process challenges that it faces from time to time in its cartel enforcement activities. Often at the appellate stage, the CCI’s orders are set aside on procedural issues rather than on merits. While the CCI is aggressively investigating various cases, it must devise proper mechanisms to ensure that due process is strictly adhered to throughout the life cycle of a case. It is interesting to observe that the CCI is proactively pursuing suo motu investigations based on even anonymous information provided to it.25 Further, not only is the CCI initiating suo motu investigations based on its own market research: it has its eyes and ears open to initiate proceedings wherever it finds a potential arguable case. For example, the CCI initiated a suo motu inquiry in the case of In re: Cartelization in respect of tenders floated by Indian Railways for the supply of BLDC Fans and other electrical items based on evidence found by the CBI in one of its own investigations.26 This aggressive approach of the CCI makes it all the more important for the companies to watch their market behaviour and be compliant with the CA. The MRTP Act viewed large enterprises negatively. A market share of above 25 per cent mandatorily required the approval of the government under the old regime to sanction a concentration or otherwise cancel a deal. The CA does not discriminate according to size, but it prohibits the abuse of a dominant position by an enterprise. The law provides 14 factors listed in the CA that the CCI must examine to conclude whether an enterprise alleged to be abusing its position of dominance is actually a ‘dominant’ enterprise27 within its ‘relevant market’. The relevant market test includes the examination of statutory factors related to the relevant product market and relevant geographical market tests.28 The CA provides several factors for assessing the relevant product market and geographical market tests, and the CCI must examine each of the factors, as the case may be, to ascertain whether the dominant enterprise could affect the relevant product or geographical markets. A dominant position has been explained in the CA as a position of strength enjoyed by an enterprise in a relevant market affecting India that enables it to operate independently of competitive forces prevailing in relevant market; or affect its competitors or consumers or the relevant market in its favour. use of a dominant position in one relevant market to enter into, or protect, another relevant market. It is generally believed (but not yet decided) that the above list is exhaustive, rather than descriptive. In the past year, the CCI and COMPAT have decided certain important cases relating to vertical restrictive agreements and abuse of a dominant position. In one of the most important technology market investigations, the CCI investigated an abuse of dominant position by Google in relation to abusing its dominance in the markets for online general web search services and online search advertising services in India. While assessing the dominance of Goggle in the relevant markets, the CCI observed that while high technology services demand continuous innovation, given barriers to entry and Google’s scale advantage, it is unlikely that a large number of users would switch to a competing search engine in the short or medium term. Further, the CCI noted that it is clear that the market conditions, including barriers to entry and Google’s scale, reinforce the effect of Google’s market shares in establishing Google’s dominance in the online general web search and search advertising markets. The CCI acknowledged that Google has revolutionised the manner in which users access information on the internet, and agreed with the DG that market strength has been acquired by Google over a period of time. In the high-technology markets, innovation is key, and in multi-sided markets, market shares should be transient. However, Google’s market shares have been consistently high, which suggests that it has other advantages, besides technical advantages, which insulate its market position. The structure of the market is both indicative of and conducive to Google’s dominance. In view of these factors, the CCI upheld that Google is dominant in both the relevant markets (i.e., the market for online general web search services and the market for online search advertising services in India). imposed prohibitions under the negotiated search intermediation agreements upon publishers that are unfair as they restrict the choice of these partners and prevent them from using search services provided by competing search engines. The CCI further held that Google is doing so because it has dominance in the market for online general web searches in order to strengthen its position in the market for online syndicate search services. This amounts to a violation of the provisions of Section 4(2)(e) of the CA. Further, as competitors were denied access to the online search syndication services market, a contravention of Section 4(2)(c) of the CA was also made out. An important aspect of the Google case was that two members passed a dissent order noting that the investigation did not bring any evidence on record, which is necessary for a reasoned assessment of whether and how the ‘prominent’ placement of the Google flights box amounts to the imposition of an unfair condition on the users. With regard to online search intermediation, this is a service provided by Google and other search engines to web publishers in order to facilitate searches on their websites by providing search toolbars directly on their websites. The CCI in the majority opinion had held that clauses in the negotiated search intermediation agreements are anticompetitive in nature. The dissent was based on the fact that the second market of ‘online search intermediation/syndication services’ had not been defined as a relevant market in accordance with the provisions of the CA. The dissenting members also held that no contravention of the CA was made out against Google on account of the impugned clause in the negotiated search intermediation agreements. Finally, the dissenting members held that in their view, the change in the system brought about by Google on its own obviates the need for any regulatory intervention, especially when the new fully floating regime appropriately addresses these concerns. Hence, according to the minority Google cannot be held liable for imposition of unfair conditions on account of its historic use of fixed positions for universal results on search engine results pages in contravention of Section 4 (2) (a) (i) of the CA. In a landmark case filed by Bharti Airtel Limited30 and CA Shanmugam31 (informants) against Reliance Jio Infocomm Limited (RJIL) (Reliance case), the CCI passed an order under Section 26(2) of the CA stating that it is difficult to construe RJIL as a dominant player, and that therefore the question of examining an alleged abuse does not arise. The CCI also noted that the telecom market in India is characterised by the presence of several players, resulting in sufficient choice for consumers, who can shift from one service provider to another with ease: therefore, the dependence of consumers on any single telecom operator is not present to any significant extent. In addition, the CCI noted that RJIL possesses a market share of 6.4 per cent. The informants in the Reliance case had argued that RJIL is guilty of predatory pricing, which is in contravention of Section 4(2)(a)(ii) of the CA, and that Reliance Industries Limited, the parent of RJIL, is using its financial strength in other markets to enter into the telecom market, which is in contravention of Section 4(2)(e) of the CA. providing free services cannot by itself raise competition concerns unless the same is offered by a dominant enterprise and shown to be tainted with an anti-competitive objective of excluding competition / competitors, which does not seem to be the case in the instant matter as the relevant market is characterized by the presence of entrenched players with sustained business presence and financial strength. The CCI defined the relevant market as the provision of wireless telecommunication services to end users, although it noted that 4G technology is superior to 3G technology in certain aspects and will be operative only on 4G compatible mobile instruments, and that consumers may have to incur additional costs in buying new mobile instrument to avail of 4G telecommunication services. In the past year, the CCI passed its order imposing a penalty of 522.4 million rupees on the BCCI for abuse of its dominant position to deny access to others seeking to organise professional domestic cricket leagues. The CCI in its order recognises that the BCCI holds a dominant position in the market, and held that a restriction on other players had no link to the legitimate interests of the game, adding that the cricket body should take measures to ensure that competition was not impeded while preserving the objective of the development of cricket in the country. The CCI imposed a penalty of 5.91 billion rupees on Coal India Limited.33 The CCI had also held that Coal India Limited and its subsidiaries contravened the provisions of Section 4(2)(a)(i) of the CA by imposing unfair or discriminatory conditions, and indulging in unfair or discriminatory conduct, in the supply of non-coking coal. The matter was appealed before the erstwhile COPMAT, and COMPAT had remanded the matter back to the CCI on the grounds of principles of natural justice. The CCI reconsidered the matter, holding that Coal India Limited through its subsidiaries operated independently of market forces and enjoyed dominance in the relevant market of the sale of non-coking coal to thermal power producers and sponge iron manufacturers in India. The CCI held that pricing of coal is determined by Coal India Limited keeping in mind the larger public interest and its social obligations. However, notwithstanding the overarching policy and regulatory environment within which it has to operate, it has sufficient flexibility and functional independence in carrying out its commercial and contractual affairs, and such factors do not detract it and its subsidiaries from operating independently of market forces and enjoying undisputed dominance in the relevant market. The CCI held that these aspects cannot be altogether ignored while quantifying the penalty. Therefore, the CCI reduced the penalty on Coal India Limited from 17.71 billion rupees to 5.91 billion rupees (i.e., 1 per cent of its average turnover of the past three years). The CCI decided several important cases during the past year on restrictive agreements and abuse of dominant position. The CCI has dealt with various sectors including telecom, sports and technology, and has evolved its jurisprudence while ensuring regard to the due process issues raised before the erstwhile COMPAT. In relation to abuse of dominant position, the Reliance case is an important decision for the sole reason that a new entrant cannot be found guilty of abusing dominance merely because its parent entity has deep pockets and large investments. The CCI has decided only a handful of cases related to restrictive vertical agreements and abuse of dominant position to date. The investigation and assessment of conduct in this sphere may be extremely complicated, requiring incisive research of the market that can, at times, be very unique for India. The CCI needs to be extremely cautious in how it approaches the assessment at this stage, as it can have significant bearings on future cases under these provisions. The CCI is seized with certain important cases relating to resale price maintenance, predatory pricing, exclusive agreements and discriminatory pricing that are yet to be decided and that would provide greater insight into how the CCI would assess such conduct. It will also be interesting to see how the new appellate body (i.e., the NCLAT) responds to the various appeals that may be made from these decisions, given that the NCLAT will decide the future course of action in respect of the competition law regime in India. The CA provides for cross-references between sector regulators and the CCI in the event of overlap between jurisdictions.34 The CA states that the CCI may consult other sectoral regulators; however, proposed amendments to the CA pending with the Indian parliament will make this mandatory. In previous editions of this publication, the challenge that the Petroleum & Natural Gas Regulatory Board (Board) faced was highlighted regarding a dispute arising between private and public sector undertaking (PSU) oil marketing companies relating to abuse of a dominant position by such PSU companies, as was how the Delhi High Court and the Supreme Court refused to intervene in the matter at preliminary stages of the investigation. The private oil companies preferred to file a fresh petition before the CCI. It is undisputed that the intentions of the two pieces of legislation are mutually exclusive, yet on a challenge by the PSU companies against the preliminary findings of the CCI, the Delhi High Court stayed the proceedings before the CCI. This development has raised the level of uncertainty in the regulatory space in India. However, a news report suggests that the CCI has decided to investigate allegations of cartelisation against the PSU oil marketing companies, and the matter has been sent to the DG for detailed investigation. This development is believed by many competition law practitioners to be a step in the right direction. Another development arose from the telecom sector,35 wherein the CCI passed a prima facie order against Bharti Airtel Limited, Vodafone India Limited and Idea Cellular Limited (IDOs) and the Cellular Operators Association of India (COAI) for an alleged abuse under the anticompetitive provisions of the CA. The CCI ordered an investigation by the DG. However, this order of the CCI was challenged by the IDOs and the COAI before the High Court of Bombay where the CCI order was dismissed. The IDOs challenged this order, stating that the Telecom Regulatory Authority of India has sole jurisdiction over the issues arising between various telecom regulators, and that the CCI does not have jurisdiction to entertain such complaints. The order of the High Court of Bombay has now been challenged by the CCI and RJIL before the Supreme Court in a special leave petition and is sub judice. The decision of the Supreme Court will clarify the jurisdiction of the CCI in relation to other regulators and will provide some much-needed guidance on how such issues will be dealt with in the future. The litany of issues between the CCI and sector regulators are unlikely to harmonise their respective roles, at least at the moment, and companies doing business in India are likely to face uncertainty regarding the precise lines of demarcation between the CCI and the various sectoral regulators. The merger control provisions of the CA have been in effect in India since 1 June 2011 and the CCI, which has been entrusted with merger control, promulgated the Competition Commission of India (Procedure in regard to the transaction of business relating to combinations) Regulations 2011 (Combination Regulations) on 11 May 2011, setting in place procedural and certain substantive aspects of Indian merger control. The Combination Regulations have been amended annually by the CCI in February 2012, April 2013, March 2014, July 2015 and most recently on 1 January 2016. The central government, through notifications dated 29 March 2017, has revised and updated notifications dated 4 March 2011. In March 2016, the small target exemption (STE) was extended for a further five-year period (i.e., until 4 March 2021) and will now be applied. The prescribed effect of this is that the acquisition of a target with Indian assets of up to 3.5 billion rupees or turnover of up to 10 billion rupees in India is granted an exemption from notifying the CCI. Apart from this, the Ministry of Corporate Affairs (MCA) also notified significant amendments (STE Notification) on 27 March 2017 to the STE (also known as the de minimis exemption), expanding its scope to include mergers and amalgamations, and clarifying that only the ‘true target’ in the case of asset acquisitions will now be considered for the purposes of determining the applicability of the asset and turnover thresholds under the CA. The Combination Regulations provide for filing fees ranging between 1.5 and 5 million rupees depending on which form the parties to the combination are required to file with the CCI (respectively, Form I and Form II). In pure acquisitions, it is the acquirer that is obliged to make the filing and pay the appropriate filing fee. However, in the case of a merger or amalgamation, the parties to the combination are required to jointly make the filing with the CCI and, therefore, jointly remit the filing fee. Further, unless otherwise exempt, combinations that are structured as mergers or amalgamations approved by the boards of directors of the transacting parties on or after 1 June 2011, or that are structured as acquisitions where the definitive acquisition agreement or other binding document is executed on or after 1 June 2011, must be notified to the CCI for its approval. The notified transaction cannot be completed until the CCI gives its approval or 210 calendar days have passed from the date of notification, whichever is earlier. In cases where a transaction is not notified at all, the CCI cannot initiate an enquiry after the passing of one year from the date of completion of the transaction. However, the CCI reserves the right to impose a penalty as has been previously discussed. Non-filing of a notifiable transaction (i.e., gun jumping) is punishable by a fine37 of the higher of 1 per cent of the assets or turnover of the combination. Some prominent and recent pre-merger filings made with the CCI are briefly discussed below. d insecticides for other speciality, foliar and chewing pests. The CCI ordered a divestment by accepting the remedy proposal offered by CNAC for the divestment of three formulated crop protection products sold by Syngenta in India to alleviate the identified concerns. With regard to the relevant market, the CCI concluded that crop protection products include insecticides, fungicides and herbicides used in agriculture to enhance crop yield and crop quality by protecting crops against damages caused by weeds, insects or fungi. The CCI further noted that these products are applied on the basis of type of crop and target pest (i.e., insect, weed or fungi). Accordingly, crop protection products are normally subdivided on the basis of their effectiveness on distinct types of pests infesting a crop. Insecticides are classified as those insecticides targeting a broad spectrum of chewing and sucking insects. Similarly, fungicides target a specific class or category of fungus, and herbicides may be classified into selective and non-selective categories. The CCI also stated that the relevant geographic market is the territory of India. In its assessment of the AAEC’s concerns, the CCI discussed the high level of market shares of the parties and the entry barriers to the industry – specifically, the quantum of research, field trials and approvals from different authorities, which involve considerable time – to introduce a new crop protection product in the prevailing market structure, and the pre-combination degree of competition between the parties, and accepted the remedy proposal submitted by the parties. In view of the foregoing, the CCI has ordered a divestiture of certain products of Syngenta in the concerned markets, which is currently in process. In another important development, the CCI decided the merger of two behemoths in the telecom sector: Vodafone India Limited (Vodafone) and Idea Cellular Limited (Idea).39 The CCI’s assessment of the relevant market was in line with the precedent laid down in the RCom/SSTL40 and RCom/Aircel 41 orders. The CCI in its order noted that the issue of market shares and concentrations is also dealt with by the guidelines for the transfer or merger of service licences on compromises, arrangements and amalgamations of companies issued by the Ministry of Communications and Information Technology in 2014 (DoT Merger Guidelines). As per the DoT Merger Guidelines, in the case of merger or acquisition or amalgamation proposals that result in a market share in any service area exceeding 50 per cent, the resultant entity should reduce its market share to 50 per cent within a period of one year from the date of approval of the merger, acquisition or amalgamation (market share caps). As regards the holding of spectrum by a telecom service provider, the CCI noted that the spectrum holding in a licensed service area is subject to cap of 25 per cent of the total spectrum assigned and 50 per cent of the spectrum assigned in a specific band (spectrum caps). Both Vodafone and Idea in this case submitted to the CCI have agreed that they will comply with the spectrum and market share caps. However, the CCI assessed the transaction independently of such guidelines, on factors as contained in Section 20(4) of the CA. In the past year, the CCI saw fewer filings being made. This is because of the small target exemption being extended to asset acquisitions and court approved mergers. The MCA notified a significant amendment on 29 June 2017 (Notification) regarding the time period within which a transaction is to be notified to the CCI. Parties to a combination are now exempt from filing a notification within 30 days of the execution of the relevant trigger document (Exemption). The Exemption, however, remains subject to gun-jumping provisions of the CA. Gun-jumping refers to a partial or complete consummation of a transaction prior to receiving the CCI’s approval. This Exemption is available to parties for a period of five years from the date of the Notification (i.e., 29 June 2022) and is not available retrospectively. While, generally, the CCI’s merger control regime has seen positive developments, the removal of the 30-day deadline period to notify and the STE Notification are welcome steps, as they align the Indian merger control regime with internationally accepted best practices. This has reduced the pressure faced by transacting parties in attempting to adhere to the strict 30-day time period. This will also help parties to submit more comprehensive notifications to the CCI, ultimately leading to fewer invalidations, a reduction of the burden on the CCI case teams and faster approvals. In any case, the CCI had been quite accommodating in allowing notifying parties to supply outstanding information at a later date where details were not readily available with them on the date of notifying the CCI by way of an undertaking. Further, the STE Notification will substantially reduce the number of notifications received by the CCI, since this is a narrower approach with a focus on the ‘true’ target as opposed to the selling enterprise. These steps highlight the government’s strategy to ensure ease of doing business in India, and to simplify the existing procedures while providing clarity. Thus, the government has balanced its options against the general economic situation, and the fact that business is looking for clearer green signals from it. As the CCI enters its seventh year of merger control regulation, it continues to receive important notices that could have an irreversible impact on the markets. The CCI has made changes to the procedure in regard to merger control and has come up with steps that have been welcomed by the industry and improved investor sentiment. The CCI’s stance and future course in merger control regulation could well be reflected in its final orders and in amendments to the Combination Regulations of the CCI. The CCI is currently investigating newer and complicated sectors, such as technology services, financial services and e-commerce. More importantly, the CCI is currently in the process of hearing various leniency application-related matters, some of which will be passed soon. The result of this would be far reaching considering that this will set a precedent for future decisions in cartel cases. Considering that the jurisprudence has significantly evolved since the time of its previous orders, the CCI will be under pressure to revise its orders on various grounds (e.g., in light of the Supreme Court’s orders, the CCI is now expected to penalise, if at all, on the basis of ‘relevant’ turnover). The Supreme Court may also decide the matter wherein India’s major real estate developer, DLF Ltd, has been held to have abused its dominant position by imposing unfair conditions on apartment buyers, as well as the decision in the special leave petition filed in the Telecom cartel case identifying the role of the CCI in relation to sector regulators. As previously stated, CCI enforcement is moving toward newer areas, such as e-commerce, technology and telecom. Investigations and analyses in these sectors can be very complicated and may mark the CCI’s evolution towards a more nuanced approach to complicated issues in line with the growing trend of enforcement in certain other mature jurisdictions. This year will also see certain important cases along with open issues being decided at various levels of competition law litigation. Further, as certain other important cases have reached the final appellate stage, many issues of law and particular issues in the merits of cases will achieve binding finality. 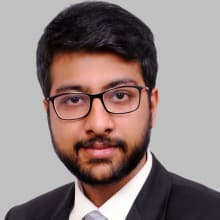 1 Avaantika Kakkar is a partner, Dhruv Rajain is a senior associate and Aman Singh Baroka is an associate at Khaitan & Co.
2 Section 54 of the CA states that in the public interest, the central government may exempt certain sectors from the application of the CA. To date, central public sector enterprises operating under the Petroleum Act, 1934 in the oil and gas sectors, nationalised banks under the Banking Companies Act, 1970 and regional rural banks under the Regional Rural Banks Act, 1976 have been exempted from the application of the provisions of Sections 5 and 6 by the central government under Section 54 of the CA. 3 COMPAT was replaced by NCLAT by way of an amendment to the CA through the Finance Act, 2017 effective from 26 May 2017. 4 Each state of India has a high court. A few high courts have territorial jurisdiction over more than one state (e.g., Gauhati High Court has jurisdiction over the states of Assam, Arunachal Pradesh, Sikkim and Nagaland; Bombay High Court has jurisdiction over the states of Maharashtra, Goa, and the union territories of Daman and Diu). 5 Sections 53 O and Section 53U. 9 Case No. 03/2011. 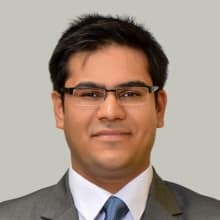 Shamsher Kataria v. Honda Siel Cars India Ltd & Ors. 11 Civil Appeal No. 2480 of 2014, Excel Crop Care Limited v. CCI & Another. 13 Civil Appeal No. 6691 of 2014. 14 Sections 42, 43 and 45. 16 Proviso to Section 18. 18 Clause 4 of the Lesser Penalty Regulations. 20 Suo motu Case No. 03 of 2014: In Re: Cartelization in respect of tenders floated by Indian Railways for supply of Brushless DC Fans and other electrical items. 21 Case Nos. 36 & 82 of 2014, Fx Enterprise Solutions India Pvt Ltd & St Antony’s Cars Pvt Ltd v. Hyundai Motor India Limited. 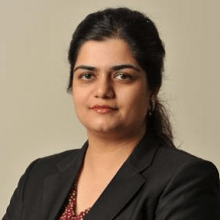 22 Sonam Sharma v. Apple and Ors, Case No. 24 of 2011. 23 Civil Appeal No. 2480 of 2014, Excel Crop Care Limited v. CCI & Another. 24 Case No. 34 of 2015, Western Coalfields Limited v. SSV Coal Carriers Private Limited. 25 Suo motu Case No. 02 of 2014: In Re: Cartelization by public sector insurance companies in rigging the bids submitted in response to the tenders floated by the Government of Kerala for selecting insurance service provider for Rashtriya Swasthya Bima Yojna v. National Insurance Co Ltd and Ors. 26 Suo motu Case No. 03 of 2014. 28 Section 19(5), (6) and (7) read with Section 2(r), (s) (t). 29 Section 4(2) (a) to (e). 30 Case No. 03 of 2017, Bharti Airtel Limited v. Reliance Industries Limited & Anr. 31 Case No. 98 of 2016, CA Shanmugam v. Reliance Jio Infocomm Limited. 32 Appeal No. 17 of 2013: Board for Control of Cricket in India v. CCI and another. 33 Case Nos. 03, 11 & 59 of 2012. 34 Section 21 and 21A. 35 Case Nos. 81, 83 and 95 of 2016. Reliance Jio Infocomm Limited & Ors. V. Bharti Airtel Limited & Ors. 36 Section 5 of the CA. 38 CCI Order dated 16 May 2017 under Section 31(1) of the CA in C-2016/08/424.